Luckily, this is a healthy addiction obsession. These pancakes are protein-packed, grain free, gluten free, dairy free, customizable, and can even include a serving or two of veggies. Don’t believe me? Try it! Combine everything in a blender and whirl away! Now, you have to make some big decisions. Add your veggies, xanthan gum, baking powder, and flour and lightly blend until the veggies are finely chopped, but not completely pureed. Pour your batter onto a greased griddle on high heat and wait about 4-5 minutes or until edges appear to firm up. Flip and cook on the other side for about 3 minutes. 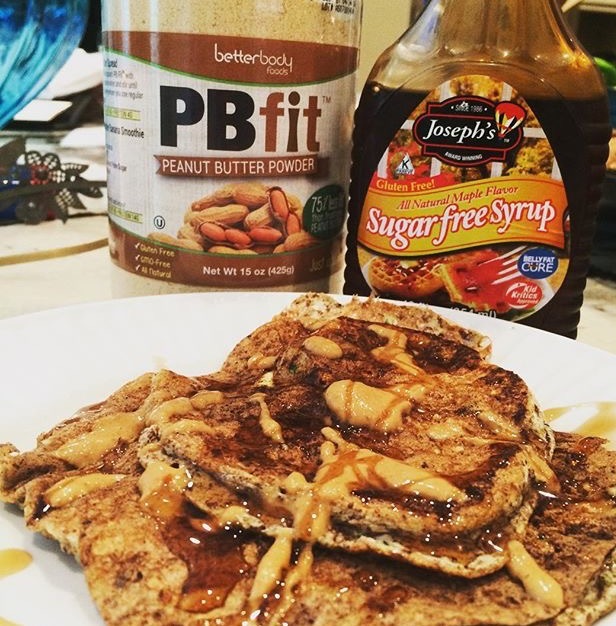 Top with nut butter, syrup, or fruit and dig in! I’m so glad you linked up! I love sneaking veggies into my pancakes. These look so perfect and fluffy! Happy Friday! Aw thank you! Me too–thank you for your help! They were delicious 🙂 Happy almost halloween!